Lee Dental & Facial (New York) - Book Appointment Online! 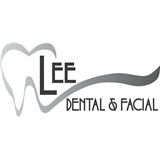 Lee Dental and Facial is a private boutique dental practice which is fee for service and we do accept ALL MAJOR DENTAL INSURANCES as Out of Network provider. We accept the following as Out of Network- Metlife, Aetna, Cigna , Horizon Blue Cross Blue Shields and many more! We also accept In-Network plan as in Delta Dental. If you have any question regarding your dental plan, feel free to book a free consultation and bring your insurance plan with you and we will do an excellent patient care verifying your dental insurances and inform you about your dental benefits. Please feel free to make your request via Zocdoc or contact us at LeeDnF.com. I don't mind waiting, because it gives me a chance to work on my knitting! Dr. Lee is fantastic.